Swine production always has been — and continues to be — an important economic activity in Missouri. In fact, Missouri ranks within the top 10 U.S. states for hog inventory, commercial hog slaughter and hog farms. 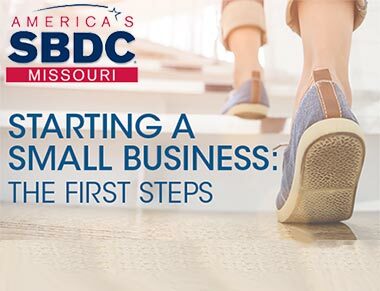 Find background information useful to your business in the Missouri swine industry profile below. Missouri ranks within the top 10 U.S. states for hog inventory, commercial hog slaughter and hog farms. The following table lists the top 10 states for these classifications. Relative to other states, Missouri ranked sixth for hog inventory in September 2017 and fourth for commercial hog slaughter in 2016. Missouri ranked 10th in the number of hog farms, according to 2012 U.S. Census of Agriculture, the latest available. Iowa holds the top place in all three categories. Missouri sends a significant amount of feeder pigs to other states for finishing, as inventory data demonstrate. 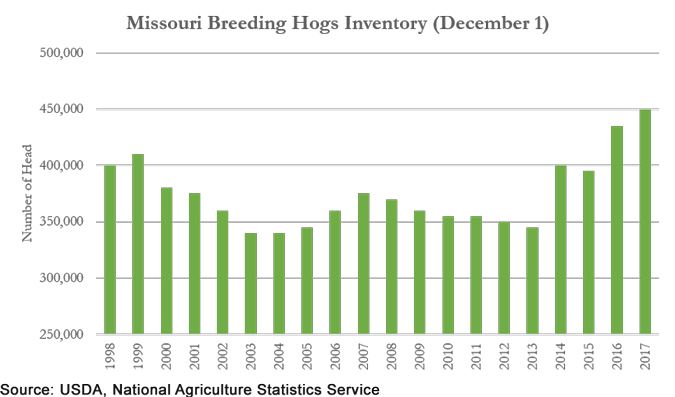 Breeding hog inventory is shown in the following figure, illustrating Dec. 1 inventory levels per year over the last couple decades. Missouri has seen a significant increase in recent years. The breeding herd was recorded at 450,000 sows on Dec. 1, 2017, which represented 7.3 percent of the U.S. sow herd. 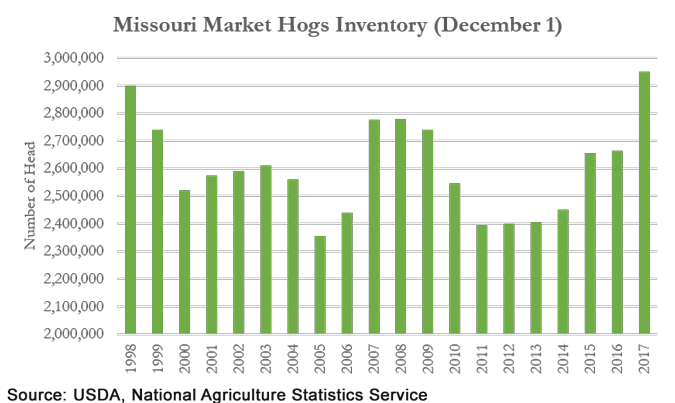 Missouri's market hog inventory for the last 20 years is shown in the following graph. Inventory levels increased by 10 percent between 2016 and 2017. The inventory was 2,950,000 hogs on Dec. 1, 2017, which represents 4.4 percent of the U.S. market hog inventory. 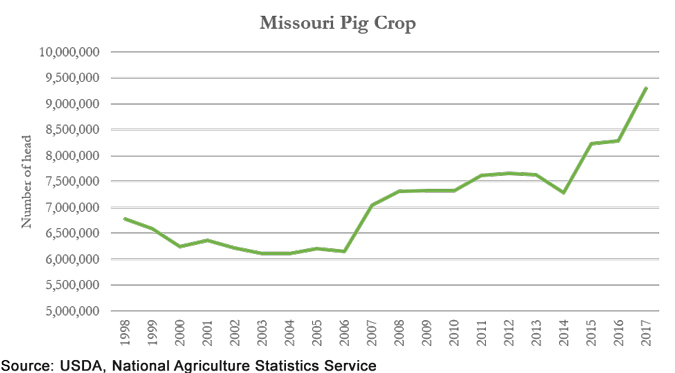 The number of heads in Missouri's annual pig crop has for the most part increased since 2006. There was a decline of 365,000 head between 2012 and 2014, but the number of head has recovered since then. In 2017, Missouri's pig crop reached 9,295,000 head — the highest level of the last 20 years. The litter rate in both Missouri and the U.S. has shown growth. 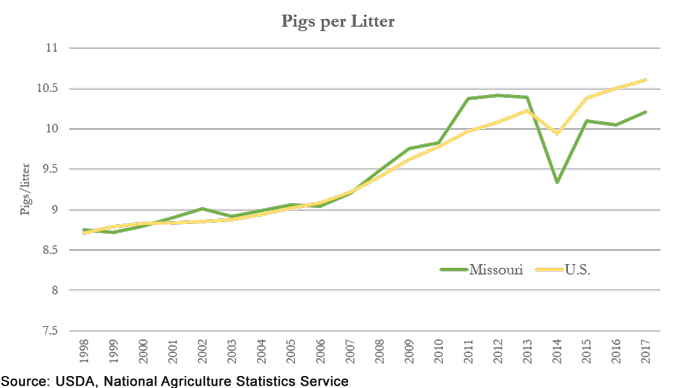 Missouri's pig litter rate reached a high of 10.41 pigs/litter in 2012. 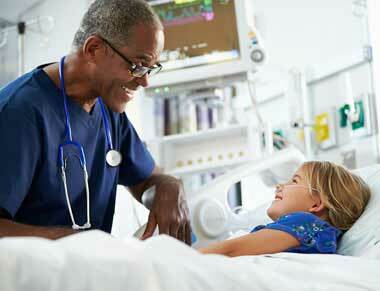 In 2014, the rate experienced a decrease, due to the impact of the porcine epidemic diarrhea virus (PEDV). The U.S. average head/litter decreased by 0.3 head at that point, while Missouri's average saw a significant decrease of 1.0 head/litter. Both averages have since recovered and Missouri's litter rate was recorded at 10.21 pigs/litter in 2017. Missouri had 2,128 hog farms with approximately 2.77 million in inventory, according to the 2012 U.S. Department of Agriculture Census of Agriculture. Farrow-to-finish farms were the most common type, with 692 farms in Missouri. Farrow-to-finish farms also held the largest inventory. Finish-only (567 farms) and farrow-to-wean (231 farms) were the next most common farm types. A vast majority of the swine inventory (93 percent) was held on farms with inventories greater than 2,000 or more hogs (204 farms). Annual cash receipts illustrate the hog industry's importance to the state economy. 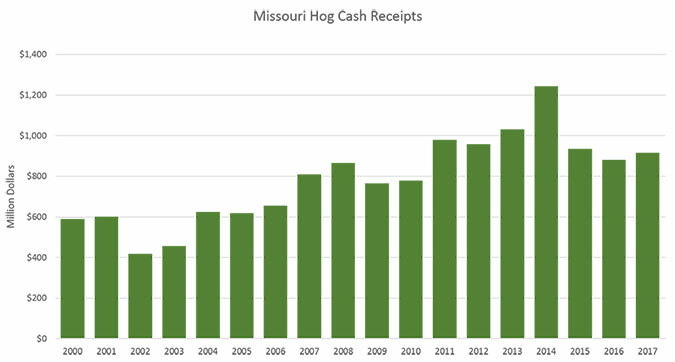 Missouri's hog cash receipts have grown significantly over time. In 2016, hog cash receipts in Missouri totaled $881 million — representing 9.9 percent of Missouri's cash receipts for all agricultural commodities. 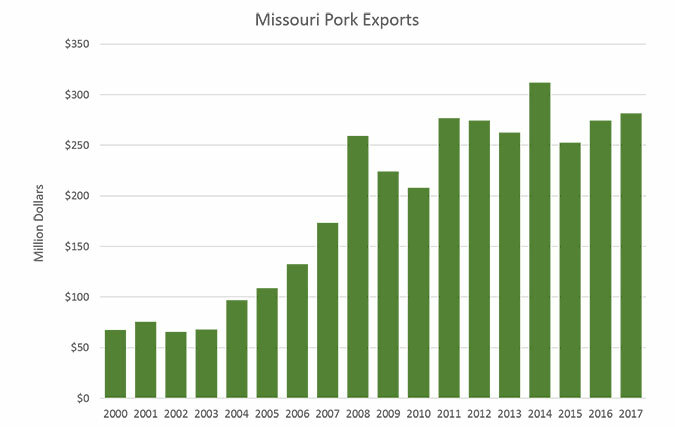 Missouri pork exports have generally increased over the last 17 years. During the last five years, exports have averaged about $275 million per year, and, in 2017, Missouri ranked seventh among other U.S. states with $281.5 million in pork exports. Other states leading in pork exports include Iowa, Minnesota and North Carolina.